As a kid when I was studying and residing on the Hong Kong Island , I always made fun of myself as an “Islander” -- due to an unwillingness to cross the Victoria Harbour to the Kowloon Peninsula on the other side. Hilly, dense, rollercoaster-like bus rides, stalls of all sorts, wet markets, proximity to beaches and the rest of nature were what I found to be missing in other cities that I visited in subsequent years, especially those that I have lived with a degree of homesickness. Soon I fell in love with the scale of European cities largely because it reminded me of my childhood; but missed the coziness and intimacy of the city when I later moved to those American cities during my college life. So, Why urban mobility ? Why smart infrastructure? Hong Kong is an unique place with accessibility, connection between the natural and the artificial - long stretched coastline with marvellous beaches and untamed waterfront, wilderness among mountains and ranges, futile landscape, vegetations and terrains... penetrating and connecting with the dense and congested urban habitation in diversified ways, with those secluded and cosy habited islands in the backdrop. Yet, now it seems that my beloved city has lost its charm and direction upon my return not too long ago. Once the most advanced electronic payment in lieu of cash -- the Octopus, marked its 20th anniversary recently. But the ‘Octopus’ technological smartness soon lost its magical spell on the city, as it has dwarfed by a newer invention by our neighbours across the Shenzhen border who pay for their means with just a click on the smartphones. Besides the lag behind everyday technology, polluted days in the winter season have made worsen by the exacerbated compactness of the city inner and the suffocation of its infrastructure. Air becomes unbreathable amid a heightened concern for an ecologically balance of urban and nature. Such concerns have brought serious discussions, one of which is the call for overhaul by means of a vision-driven re-planning for the threatened ‘beloved’ city. Technological innovations such as smart devices enabling data and useful information to be read, understood and applied, have managed to emerge in no time. All these have presented the architectural and urban planning profession an unprecedented challenge for the capacity and capability-building of existing urban infrastructure to adapt to these new technologies and concepts of living such as, Next-generation AI or Next generation Sim City, Driverless City, Shared City.... For instance, the mass transit system is by far among the most efficient in the world but has overwhelming loads during peak hours, as urban mobility has expounded with urban expansion. 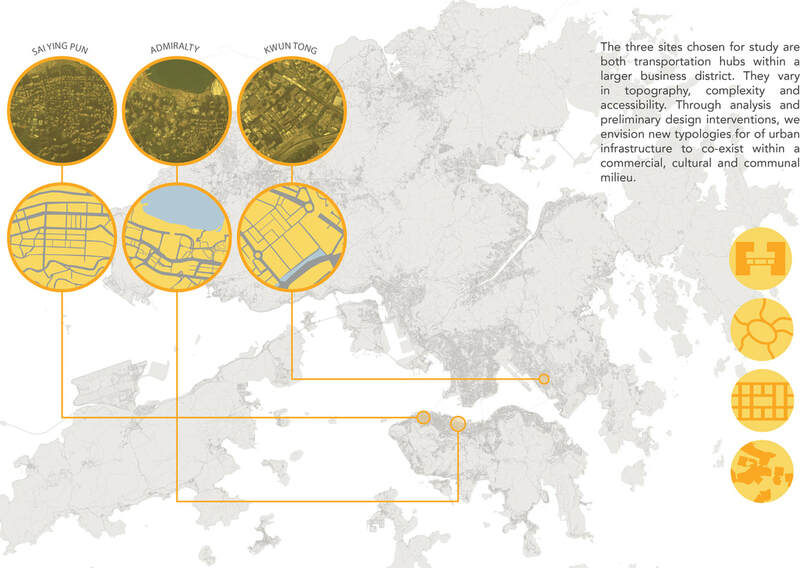 A second set of challenge reflects upon those threats for a land resource depleted urbanism such as Hong Kong’s. How could one devise an optimised depletion of land resource as a future-proof, or even future-ready masterplan to uphold the city’s image as a great global city in Asia? interrogation. Above all, I have enjoyed every moment with all of them during the few months of our joint endeavour, that of making our ‘beloved’ city more liveable and sustainable. Last but not the least, my thanks to Ken, Safina, Lilian and Fung, who have contributed to the production of this booklet/ website. Efficient transportation, GreenTOD, and Liveability is what Hong Kong is lacking and lags behind...are what we look for in the long run…. Please check out these projects in "Projects in Hong Kong" page.